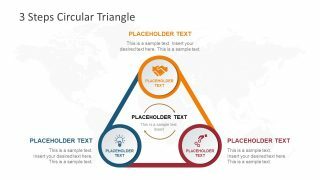 The Three Steps Cycle Diagram PowerPoint Template is an infographic layout of triangular design. It is a professional presentation diagram to discuss several process cycle concepts. This diagram displays a simple conveyer belt with three process segments. 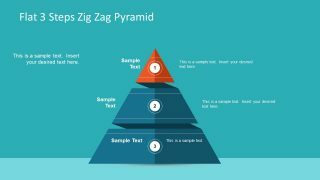 There are four slides for 3 steps cycle diagram to highlight each segment individually. 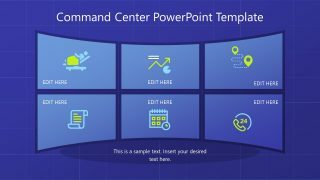 It is a colorful PowerPoint of infographic segments. And, after the overview, each slide highlights different unit through distinct colors. 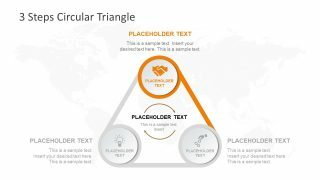 It is an ideal PowerPoint diagram template to demonstrate production cycle in three easy steps. For example, introducing company’s operations to new staff, or highlight a recurring set of business activities. Furthermore, it could present three individual and interconnected parts from whole by adding main element in the middle. The diagram can also present ideas and concepts as continuing sequence of stages, tasks, or events in circular flow. 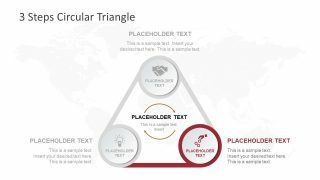 The Three Steps Cycle Diagram PowerPoint presents editable graphics and text placeholders. The infographics such as handshake, lightbulb, and hand-giving (information sharing). 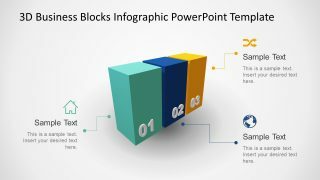 But users can replace these infographics with other clipart shapes and images. Similarly, change the colors, add textual content, and shape styling options to give a personalized effect. 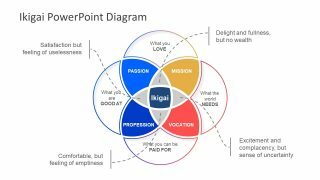 Therefore, 3 steps PowerPoint diagram is suitable for business and marketing process flow concepts. It focuses on stages and central idea in cyclical flow of information. 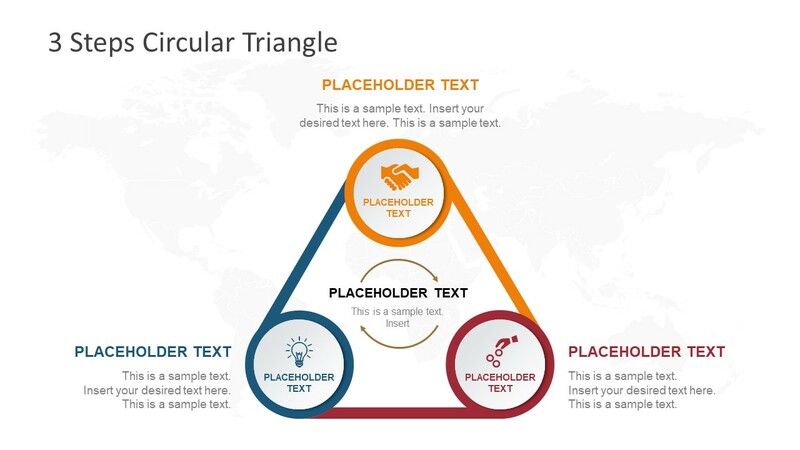 In short, three steps cycle diagram is a modern presentation layout to create triangular process loop as building blocks. 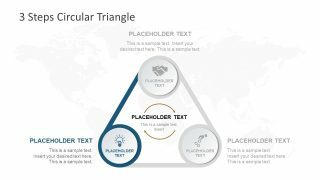 Check out the flat triangle PowerPoint diagram for a slightly different design.